Learn more about our Occupational Therapy department by clicking the title above! San Juan BOCES has a team of six occupational therapists who work with all the schools and provide child find services in the eight districts that are part of our BOCES. We are united in our enthusiasm for OT and we each have individual passions that enrich our profession and our team including the study of autism, music, assistive technology, adaptive sports, reiki, executive functioning, transition, arts and crafts and many more! 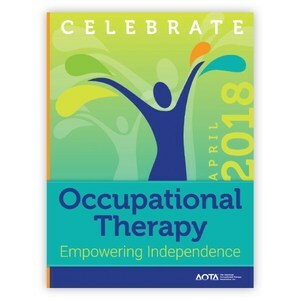 The profession of Occupational Therapy is 101 years old this year! OT takes into account the complete person, including his or her psychological, physical, emotional and social makeup. We use everyday activities as the means to develop the skills that will enable a person to get beyond his or her disability or limitations. We help students build healthy habits and routines. We notice how the environment influences the person's performance and make adjustments to support the individual's success. Functioning at the highest possible level. Maintaining or rebuilding their independence. Participating in the everyday activities that they need to do or that simply make life worth living. Occupational Therapists play an essential role in a collaborative school team. We work side by side with teachers and other service providers to nurture the independent success of students in the educational environment.